LONDON: Isolated British Prime Minister Theresa May once again proved her stoicism by battling on in the face of humiliating defeat for her Brexit deal, but she is running out of allies in her epic political struggle. Moments later, she vowed to limp on and fight a parliamentary no-confidence vote. May has already survived a party no-confidence vote in December, displaying characteristic determination when backed into a corner. She has also been protected by the inability of any serious challengers to form alliances and depose her, with the toxic Brexit issue dissolving traditional political bonds. May made it her mission to carry out the wishes of voters who backed the Brexit the referendum in June 2016 when she became premier the following month. But Brexit backers have always been suspicious of having a Remain supporter — which May was before the referendum — leading negotiations. Despite carrot-and-stick attempts to cajole her colleagues to back her, she was on Tuesday once again forced into a making a chastening address after her humiliating defeat. 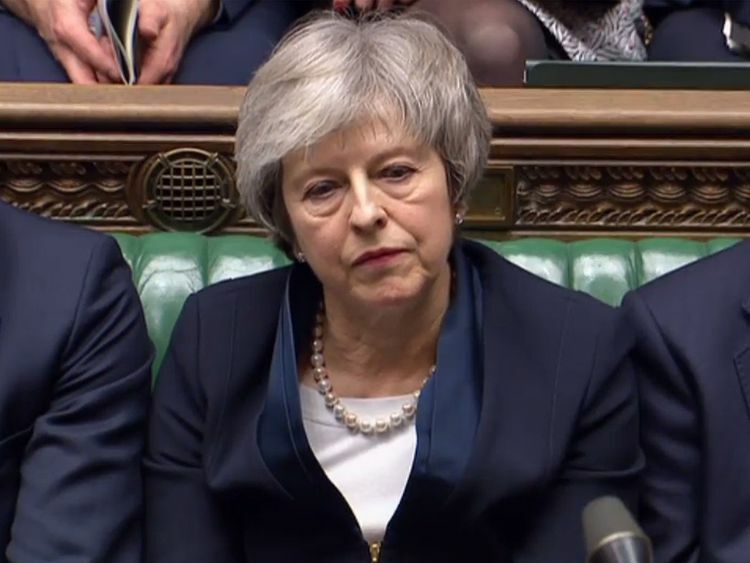 Shortly before Christmas, she was forced to acknowledge the weakness of her position, telling Conservative colleagues she would not fight the next scheduled election in 2022 as she uncomfortably defeated the internal coup. Critics from all sides rounded on the leader on Tuesday, with Remain supporting journalist Matthew Paris calling her a “zombie prime minister”, and the Leave supporting Daily Telegraph warning that she was “out of allies, out of time”. She had campaigned to stay in the EU, but has repeatedly stressed the importance of implementing the verdict. Yet her plan’s provision for a ‘backstop’ to prevent a hard Irish border, which could keep Britain indefinitely tied in a customs union with the EU, has angered Brexit supporters. But her reserved nature often makes for stilted relations with world leaders and voters, while her style of repeating phrases and avoiding direct questions earned her the media nickname “Maybot”. Faced with an apparently unassailable poll lead, she called a snap election in June 2017 to bolster her position and Brexit plan — only to lose the Conservatives’ majority in the Commons.